The second that I put Manu on the blocking mats I had immediately cast on for this simple and supposedly easy pullover. I've aptly named this project Simple & SweetGeorgia because of the pattern and yarn being used. The pattern is by Finnish designer Veera Välimäki, whose Still Light tunic is also in my "to knit" list, and the yarn is by my current favourite yarn company (and indie dyer!) SweetGeorgia Yarns. There's really not much to say about this project, other than the fact that I wanted something simple and easy, and can be used as a layering piece throughout the year. This pattern had been in my Ravelry queue for quite a while and I just finally got around to knitting it up after scoring 3 skeins of SweetGeorgia's Tough Love Sock in the English Ivy colourway. 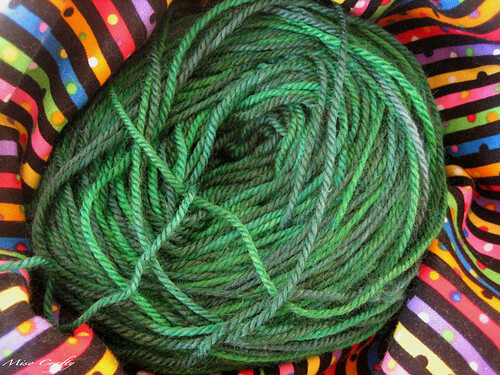 I absolutely adore this colourway and am in constant awe of how gorgeous the different shades of green are. 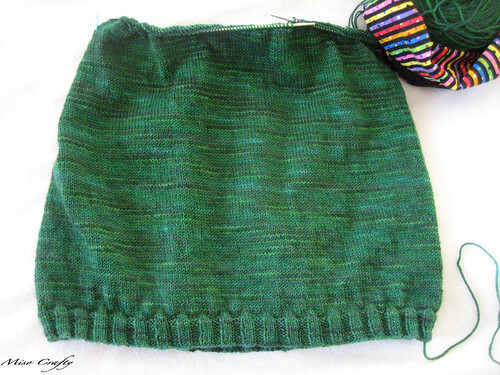 As sad as it is to say, I get a little burst of happiness every time I get to knit the kelly green within the yarn. Unfortunately my camera can't really pick up the different tones of green and each attempt just makes the yarn look washed out and does the yarn complete injustice. But trust me when I say that it is pure brilliance! Sheer loveliness. As for the knitting part, well, again there really isn't much to say. After almost putting myself into a coma by knitting nothing but stockinette with Manu, I thought I would venture away from projects that involve stockinette. Yet here I am, knitting stockinette. In. The. Round. I just can't escape from it! Oh well. At least I can take this to knit night and not have to worry about messing up, cause if I mess up simple stockinette, well there has to be something completely and totally wrong with me!